All donations and sponsorship are very much appreciated and go straight to the Happy Hub community charity base project to assist with food, education and healthcare. 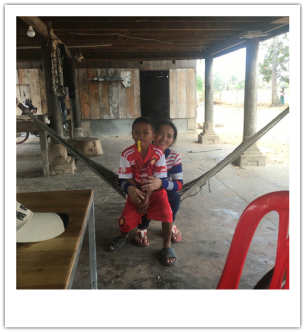 All donations for the village project help to educate villagers about health and hygiene, as well as sustainable farming practices as well as provide all materials to farm many different crops. ​We will be holding water filter runs a few times throughout the year, which will entail delivering water filters that you have donated to. Educating the villagers on sustainable farming practices will enable them to farm year round, hence enabling them to earn an income that will improve the community. 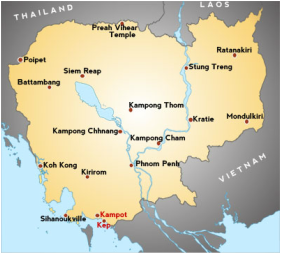 50% of profits from Sammaki Face and Body Polish go to Happy Hub Kampot to be self sustainable. 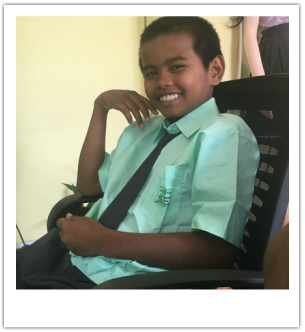 Lida is a very happy 13 year old boy who is very grateful for his opportunity of a safe home and good education. His parents are unable to care for him, but we do encourage contact with his parents and he is very well adjusted under the circumstances. Lidas sisters Lika and Lytha also live in the house with us. Lika is an amazing 15 year old young lady. She is super intelligent and is thriving at school and home. She loves her new home and the opportunities that we have given her. She is a natural nurturer and looks out for her brothers and sisters. 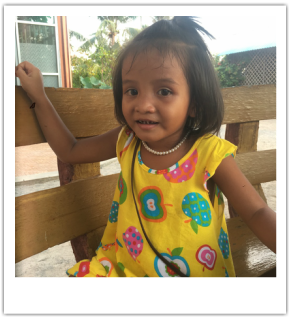 Lytha is a very energetic 6 year old that was the last child brought to us from the family. She is a beautiful child that as much as we hate to admit it, she is now rules the house. We have a lot of work to do to get her nutrition up to scratch. Her teeth need to be fixed because they are all rotten, so we have much to do for this little one. Thyda is a very shy 15 year old. We rescued her mother and little brother from a village where they were living in a tiny hut with nothing. Their father had died and there was no income for the mother. 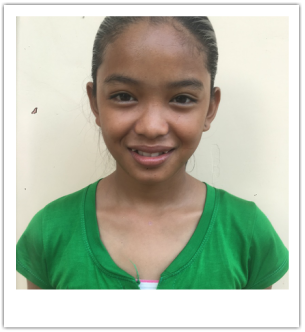 Thyda is now enjoying a safe home and school. Cherrub is a widow who we have rescued from a village where they were living in a bamboo shack with nothing and no income. Cherrub is now our house keeper and we are educating her children as well as providing her a safe and happy house. They are all now thriving. 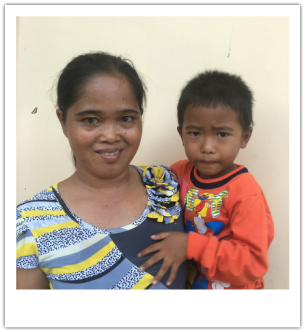 Saram is Tharo and Sarans mother who was forced to work in Thailand because she is a single mother. She put her children into an orphanage because she thought that it would be best for them. She is now our cook and is spending time with her boys. 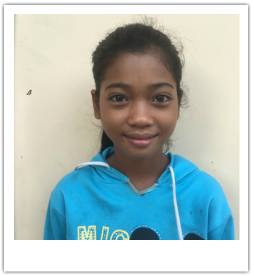 We are going to train her to do acrylic nails so that she can get a job in the Kampot area and support her children independently. Until then her and the boys have a safe house to be supported in with us. 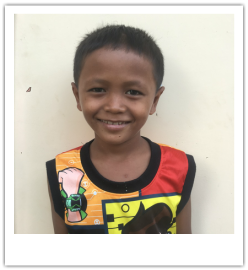 Tharo is a very spirited 9 year old that was rescued from a sham orphanage in Phnom Penh. He has settled in nicely with the other children and is loving the security and school. We now have his mother Saram and brother Saran living at Happy Hub from another sham orphanage to be with his brother. the boys are now reconnecting with their mother slowly after being in orphanages for most of their lives. Saran is 15 and was the last child to join the family. His brother is Tharo, so it is nice to have the boys together again. 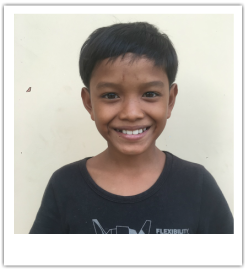 He was rescued from a sham orphanage in Phnom Penh and he has had no education. We have now enrolled him in school and he is so happy. because he has had no education he is starting in grade 2. Hopefully he will learn a lot and move ahead to where he should be for his age. His mother Saram has now joined the house and is working as our cook.